Today, at the intersection of Lenox Avenue and Plymouth Street, you will find the Lenox Court apartment complex. However, long before this development was built, this intersection was home to an interesting piece of Jacksonville’s history—Speedway Park. 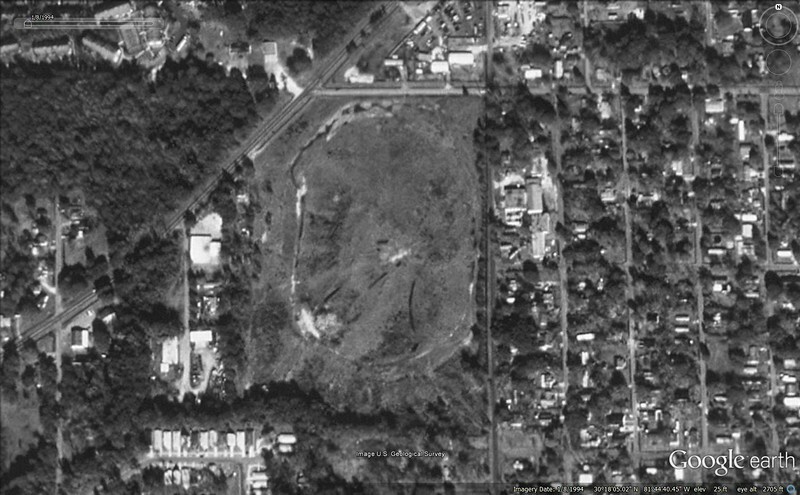 Speedway Park, sometimes referred to as Jacksonville Speedway, was a popular racing track in Jacksonville’s Westside. The track itself was a bit rickety. It was a dirt oval road that measured about a half a mile around and had only two turns. The stands were made of splintered wood and the track itself had many potholes and ruts. This often lent itself to several crashes and many necessary, and time consuming, mid-race repairs. Speedway Park. Courtesy of Real Racin USA Motor Sports Forum. Speedway Park was owned by Pat Patrick, who tried to put on racing shows every weekend for Jacksonville locals. Patrick also happened to own the burger joint, Pat’s Drive-In, around the corner from the speedway, and oftentimes race-goers would stop by there for a bite to eat. 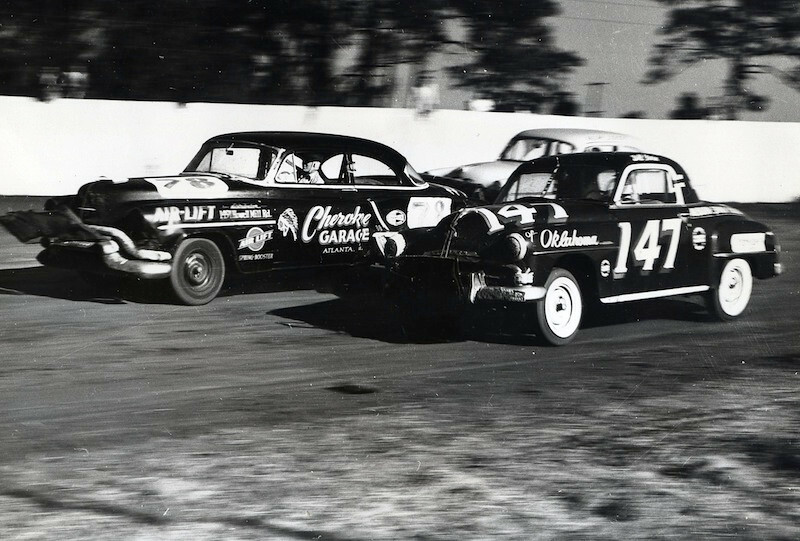 The track officially opened in 1947, and over the years would become a spot for local box car races, the Duval County Exposition, and most notably, the NASCAR Grand National Series. NASCAR Grand Series races weren’t regularly scheduled at this track, but there would be several held in the1951, 1952, 1954, 1955, 1961, and the 1964 seasons. Some notable winners over the years include: : Larry Flynn, David Ezell, Tiny Lund, Billy Yuma, Jimmy Lee Capps, Will Cagle, Bubba Into, Tom Pistone, Pee Wee Griffin, Earl Pearson, Sr., Eldon Yarbourgh, Lee Roy Yarborugh, Rod Eulenfeld, Jack Nolan, Jimmy Thompson, Bill Snowden, Curtis Turner, Harvey Jones, Jack Ethridge, Skimp Hersey, and Red Byron. The Grand Series’ most notable season was actually its last. The race took place on December 1st of that year. One major contender was Jimmy Lee Capps. Capps was a fairly experienced racer, who was strapped in to a car made by none other than Irwin “Speedy” Spiers. Spiers was a well-known car builder, who had built cars that won over 1,000 races. Spiers, now 83, actually still builds engines in a shop right here, on the Eastside of Jacksonville. Richard Petty, one of the most frequent winners in NASCAR, was also a participant. 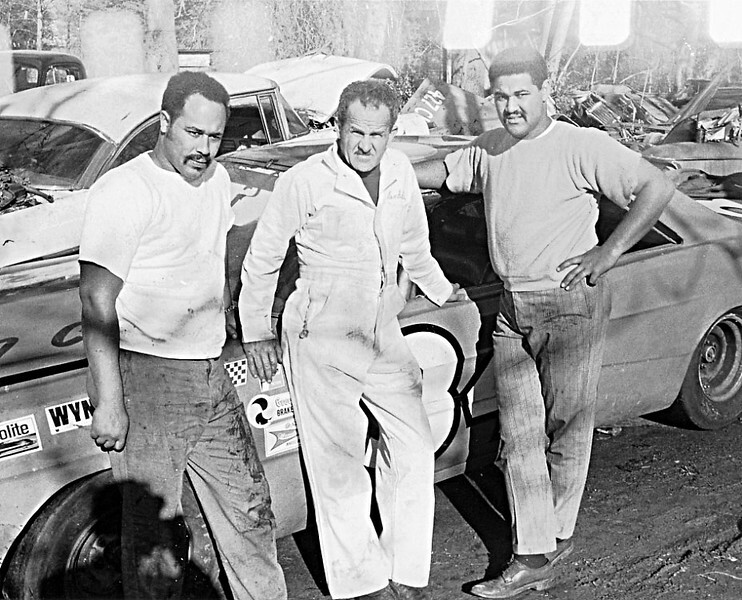 What makes this race so unique and important, though, is the other notable racer—Wendell Scott. Scott’s race story is an interesting one. During the race, Petty had been leading for over 100 laps. Everyone thought he had the win, easy, until his steering broke, likely due to the conditions of the track. Scott took the lead with 25 laps remaining as Petty fell behind. He crossed the finished line in the lead after lap 200, but there was nobody waving the checkered flag. Two laps later, the flag was waved—for Buck Baker. After complaints, the race steward went back to realize two of Scott’s laps were missing. Baker’s title was taken, and Scott was given the title of winner, followed by Baker in second, and Jack Smith in third. Because Scott’s win was delayed, he never received the trophy. While he may have never been a trophy holder, Scott had won, making him the first African American man to win a NASCAR event. Speedway Park’s remains in 1994. Courtesy of Google Earth. The track would hold one more event, a NASCAR Grand National East Series Race, before shutting down in 1973. 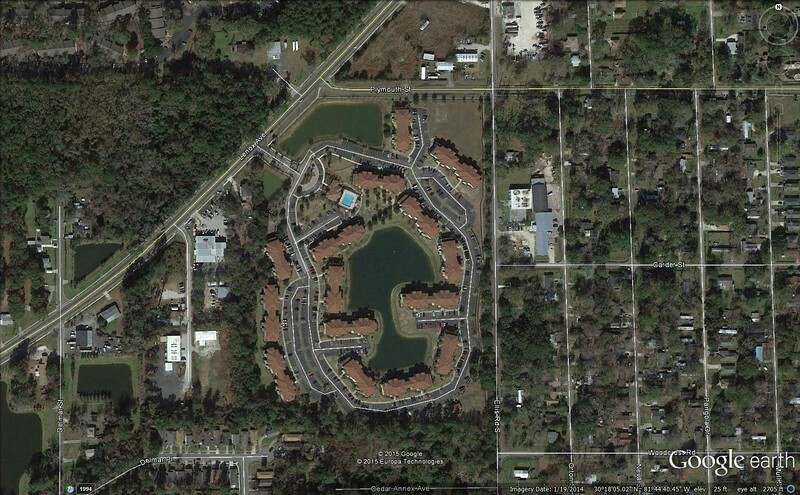 Eventually, the 66 acres of land were sold for over $3 million to a Michigan-based residential company, who decided to erect a multifamily development on the site. Over the years many issues would complicate the process, such as contamination from car waste. Completed in 2003, today, the Lenox Courts Apartments are the headstone to a dead and buried Jacksonville race track. Lenox Court Apartments in 2014. Courtesy of Google Earth.